There's something about summer that makes us want to wear bold and bright colors on our lips, cheeks, and eyelids day or night. Maybe it's the warm breeze, or maybe it's the sun shining brightly and the clouds parting beautifully to reveal the blue sky—whatever it is, we're into it! Janella Salvador probs feels the same way too because recently, she sported a glam gray and blue smoky eye to go with her evening dresses! The stormy eye makeup was created by none other than celebrity makeup artist Effie Go Iñigo! 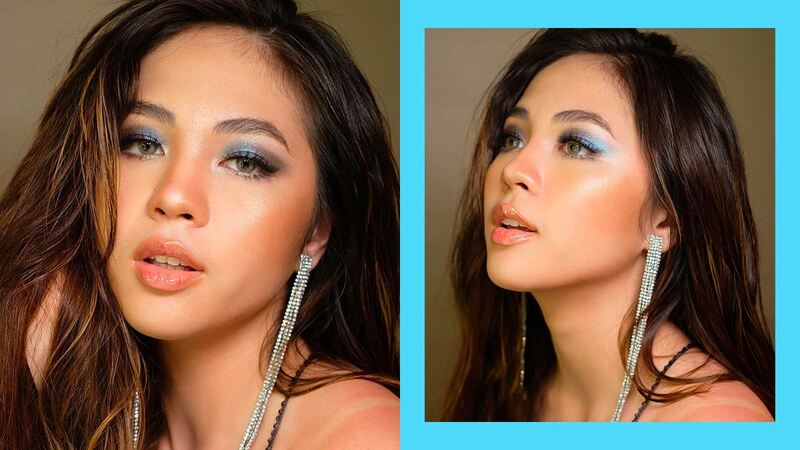 She kept the baby blue hue concentrated on the center to the inner corners of Janella's lids, and blended it outwards with a mix of different gray shades. A pearlescent white color was dotted on Janella's tear ducts to make her peepers look wider and more awake. According to Effie's Instagram post, she used legendary makeup artist Pat McGrath's Lust: Gloss and Eyeshadow Palette! Both products have heavy price tags, though. But of course, you can still achieve this look with more budget-friendly picks. To recreate the same shiny lips and lids, you may check these affordable glosses and eyeshadows here. What makeup looks are you planning to wear this season? Join our Cosmo Beauty Group and post your MOTDs there!